In the summer of 1812, as rumours of a looming war become reality, Susanna, her mother and her sister are surviving as best they can while the men are fighting. As news of various battles reach them, Susanna becomes even more concerned for the safety and well-being of her beloved brother and father. She is torn between the loyalties of her best friend and her mother, who are both Americans living in Upper Canada, and her father's and brother's allegiance to General Brock and the King. 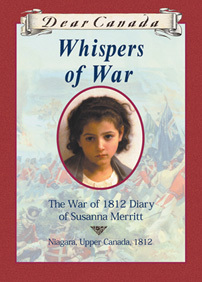 But on on the night of the Battle of Queenston Heights, Susanna's main concern is for survival. Every evening after supper I sit on my stool in the parlour with the rest of the family until we all retire. Tonight Mama and Maria and I sewed while Hamilton told us more stories about Kingston. Then he brought up the subject I dread. "Everyone in Kingston believes there will be a war," he said. Mama covered her eyes, even though her headache had gone. "Pray that there is not," she said. "Oh, please pray that there is not! We have had too much war. I cannot bear the thought of another." 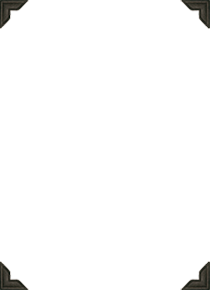 My heart leapt in my throat. All my life, it seems, I have sat on my stool and listened to the adults talk about war. Mama's older brother, Richard, fought in Papa's regiment against the rebels and was killed by them in Virginia. Mama was as devoted to Richard as I am to Hamilton. She often tells me about the terrible day when she found out he was dead. Papa has also told me about his brother, Shubal, who was shot when he returned to New York from New Brunswick after the war. Two uncles I will never know, all because of the war. Mama began to weep, and Hamilton soothed her by reading poems from the book he had brought her. I leaned against her and no one knew how violently my heart was beating. Will there really be a war? The adults have been talking about it for months, but I do not entirely understand it. When I think of war I feel the same icy dread as when Mama talks about Richard. What if my brother had to fight? Perhaps Papa would as well, although I hope he would be considered too old. I cannot bear the prospect. I will do as Mama asks and pray tonight that God will spare us such a calamity. From Dear Canada: Whispers of War, copyright © 2002 by Kit Pearson. I love this book!!! I keep reading it over and over. It was my second Dear Canada book. I have almost 20 of the books and this has been the one I read the most. It is so cool because I did recent research and found out I am related to Merritts in 1815! Plus her grandparents lived in Saint John are the same Merritts who made a loyalist house in my own city that you can visit today! Overall awesome book!!! I want be an author and write books like this someday! I really liked Whispers of War. It gave you fact, but it was fun at the same time. And I LOVED the fact that it was based off of the author's great-great grandmother. These books are better than the Dear America series! THIS BOOK ROCKS!!!!! !I recommend it to anyone who likes Dear Canada as it is a typical example of these wonderful books. Even though this is in the girl's perspective, as a boy, I put myself into Susanna's shoes. It's a whole new experience and adventure living in an 11 year old child's life. I cried thinking about Hamilton and Thomas in the War. The book may not have a big scenario of drama but a lot of tragedy that can burst emotions from you. Great job Kit Pearson! I loved your book. Read it 4 times. I think that it was a very good book. It felt like as I was reading, I also was teaching myself about the history of canada and about how things were during that time period. It was the first Dear Canada book that I have ever read. Next up Not a Nickel to Spare. I loved the book. I think Susanna is kind of like me in some ways. I would recommend it to everyone I know. THIS BOOK ROCKS!!!!!!!! !